Public planetarium shows, featuring the Digistar 6 projector, are scheduled for Fridays and Saturdays at 8:00 P.M., and Sundays at 4:00 P.M. There is also a special show designed for families on Sundays at 2:30 P.M.
Show tickets are not sold in advance. Ticket sales begin 30 minutes before posted showtimes. 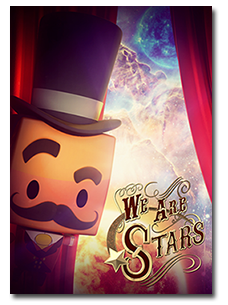 A current sky talk, using the Digistar projector, will follow all shows. Outdoor observing is held after evening shows as sky conditions permit. Telescopes in front of Abrams Planetarium offer views of selected astronomical objects. What are we made of? Where did it all come from? Explore the secrets of our cosmic chemistry, and our explosive origins. Connect life on Earth to the evolution of the Universe by following the formation of Hydrogen atoms to the synthesis of Carbon, and the molecules for life. Narrated by Andy Serkis. Fridays and Saturdays 8:00 p.m. 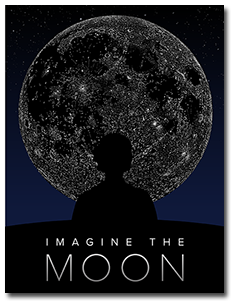 Explore how the Moon has inspired human creativity, learning, and exploration ever since we have looked to the sky. Each discovery has brought new opportunities to contemplate and imagine, until, driven by dreams, we left Earth and went there in the amazing journeys that culminated in astronauts walking on the Moon. People have imagined the Moon as a glowing disk in the sky, a destination in space, and a world that shares its origin with the Earth. The power of human imagination continues to inspire our relationship with the Moon as our partner in space and companion in our sky. We also offer Sensory Friendly versions of our shows, click here for more information. Click here to find 2018-2019 Abrams Planetarium event schedule.